Claire | Robert S. Minch, D.D.S., P.A. 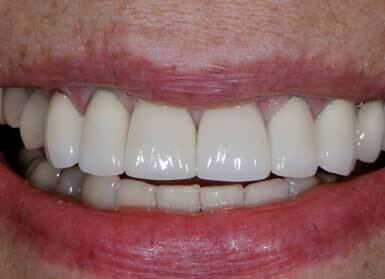 Claire, a 60 year old business woman, came to me because she hated the space between her front teeth and wanted to have a healthy smile that would be maintenance free for many years to come. 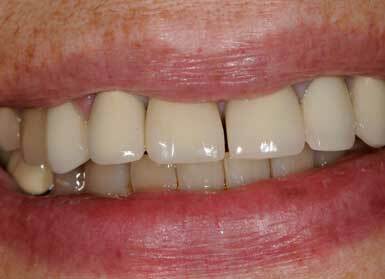 We started her off with Invisalign to close the gap and idealize the bite. From there we were able to make new porcelain crowns on the front teeth to create a beautiful, white smile (she calls it her “Hollywood Smile”) as well as new crowns on the back teeth to maintain a healthy comfortable bite. Click here to see a close up view.